The Justice Department’s Civil Rights Division is setting its sights on the Portland Police Bureau. Assistant Attorney General Thomas Perez at a press conference in Portland on Wednesday announced that the Justice Department had opened a wide sweeping civil rights investigation into use of excessive force in the police department. 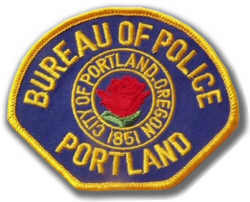 “Recently, the Justice Department has conducted a preliminary review of the Portland Police Bureau,” Perez said in a statement. “The Civil Rights Division, in partnership with U.S. Attorney Dwight C. Holton, has reviewed the facts and determined that allegations regarding excessive force, particularly recent incidents between the PPB and people with mental illness, warrant further review, under our civil pattern or practice authority,” he said. Posted: 6/8/11 at 4:44 PM under News Story.